The Sony RX10 III and RX10 IV are great little camera that do a little bit of everything very well. With fixed lenses, there isn’t a whole lot you need to worry about in terms sensor cleaning and third-party lens mounts, but there are a few items you should serious consider picking up to preserve the life of your camera and avoid unwanted wear and tear. But first let’s go over some basic gear. There are a lot of battery options now available for Sony RX10. You can get the Sony brand batteries that work fantastic but are often times a little more expensive. You can also get some third-party batteries. What I usually do if I need more than two batteries is to make sure two of my batteries are Sony batteries and any backups are third-party. You can go with all third-party batteries and that’s should work fine. The third-party battery I’m listing have come a long way and now work fantastic. But about three or four years ago I always seemed to have problems with third-party batteries. Today all mine work flawlessly. If you do go with third-party batteries, I would still charge the batteries in camera, or with a Sony charger. Sometimes those third-party battery chargers charge too quickly resulting in a weaker charge. Wasabi 2-Pack With Charger – Amazon <- I own these, no problem except with the charger. I’ve tested most of the popular SD memory cards out there in each camera. Check out the following links to see which memory cards are the best for the RX10 II & III. The Sony RX10 IV is the first consumer Sony camera to have the upgraded fast buffer found in the Sony A7 III. Older camera firmware required that you have a memory card larger than 64GB, or an SDXC memory card for 4k video to work. However, new firmware allows for SDHC memory cards to also record 4k video. If you struggle to get 4k video working in your RX10 III or RX10 II, try upgrading the firmware. 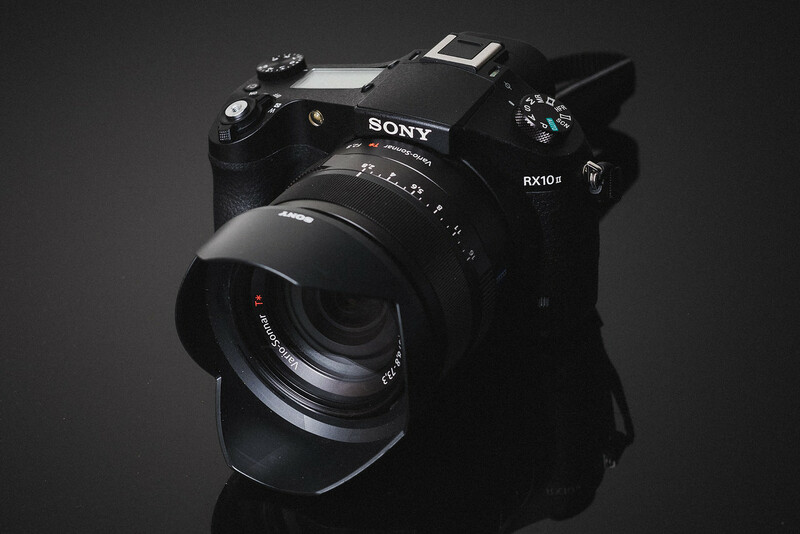 The RX10 IV comes ready with SDHC compatible firmware. To shoot 4k, you will need a memory card that is U3. Since I’ve been testing memory cards for a few years now, I get a lot of emails from people reporting issues with cards. So far the only card I’ve encounter that will work for this camera that nobody has had an issue with is the Sandisk Extreme Pro. Every other card has had some sort of issue with 4k recording for some people. I usually list the PNY cards as a great deal, but a lot of people have been having issues with them lately. Also, Samsung cards are not usually compatible with 4k video in Sony cameras for some reason. Right now just stick with these brands. They’re the only once I can full trust to give 4k recording at 100M with a Sony camera. There so many choices for camera straps that it’s been hard to make this list. I’ll list some popular ones from Amazon and I’ll also list some cool leather ones that have a little more style. C-Loop and Black Rapid make a camera strap that connect to the bottom of the camera. It’s pretty nice because it allows you to quickly remove your strap. I was using this setup for a long time before graduating to leather straps. Gariz makes pretty nice gear. They’re a Korean company with solid products. Hard Graft makes some of my favorite stuff out there. They’re products have a very nice authentic, handmade feel to them. Barton makes some cool leather braided camera straps. Tap&Dye makes a few really nice straps as well. Very luxurious. There are a few leathers wrist straps I’ve used and can recommend. The Sony RX10 cameras since the II all have the same size screens so any screen protector that works on the RX10 II, also works on the new models. Screen protectors are a must have item for any Sony camera. Sony doesn’t put very strong screen on their cameras like some of the other brands and they can get scratched easily. You’ll also see these little bubbles start to form behind the screen from getting little dings, so it’s really important that you protect your screen. I’ve been using this brand on all my cameras lately. Lifetime warranty. UV filters are another important accessory you should consider investing in for your camera. These UV filters are ultimately designed to protect the front element of your lens. Not only from dings and scratches, but every time you touch the front glass and need to clean it, it’s much easier to clean a UV filter than it is the actual lens. Much safer also. Now there are several brands out there with variances in quality. The more expensive UV filters will have more advance coatings that will interfere with light less than the cheaper brands. Some cheaper brands can cause more flaring and ghosting, or they can reduce the light transmittance by something like 0.5% – 2%. There are also UV filters that come with different thickness, so I’ll list a few that I use and let you decide. The RX10 II has a different lens than the RX10 III and IV so they will take different size filters. B + W 62mm UV Filter 007M – Amazon <- Very thin, best quality you can buy. B + W 62mm UV Filter 010M – Amazon <- Not as thin, but also very high quality. Hoya 62mm UV Filter – Amazon <- Great brand, great quality. I use these sometimes. There still aren’t a lot of third-party designers making cases for this style of Sony camera. Not sure why, maybe the ergonomics might make it difficult to conform too. If you do want to protect your camera you can try the Sony Premium Jacket. The Jacket for the RX10 III also first the RX10 IV perfectly. I use the Think Tank for my daily carrying case. It can hold a camera about this size with a few accessories. It also has a magnetic lid to keep it closed for when you don’t zip it. But also check out other Think Tank products. They have lots of styles and sizes. Since the Sony RX10 III and the RX10 IV do have interchangeable lenses, there is a lot less to worry about in terms of keeping the camera clean. But there are a few accessories that still might come in handy. 6-Pack Micro Fiber Cleaning Cloths – Amazon – You can never own too many of these. Rocket Air Blower Medium – Amazon – Great for getting dust off the lens or out of those tight crevices in the camera. Aside from the usual Photoshop and Lightroom, there is one other program I’ve added to my workflow and now use all the time. That’s Aurora HDR. It’s great for Travel, Landscape and HDR Photography. I’ve been writing about it a bit on my blog and if you’re interested in shooting landscape style photography without all the hassle of learning Photoshop Aurora HDR is the way to go. Check out my review. Aurora HDR Review – I also have a 10% discount code listed on that page. I own, rent, (loaned from BHPhoto) and test a lot of camera and different accessories. In my years of doing this, these are some of the best accessories I’ve found that will also work really well for the Sony RX10 II, RX10 III and Sony RX10 IV. These are great little camera and with some care and maintenance, they should last you a very long time. If you find anything I missed that you really like, please let me know!